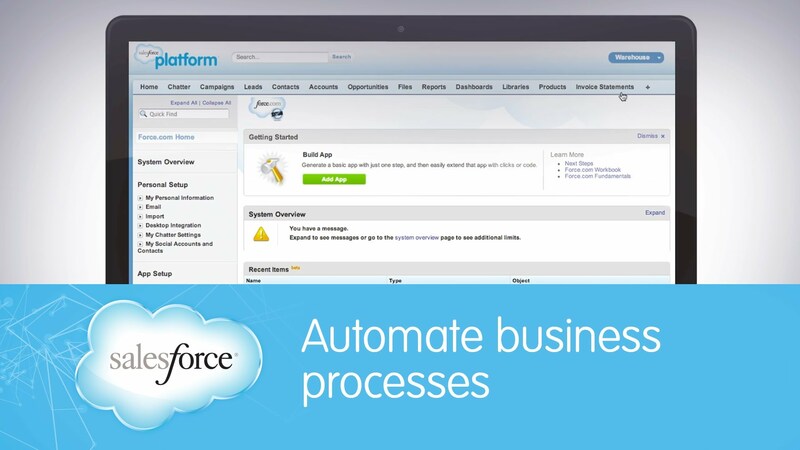 Salesforce 1 Lightning: Deliver Business Processes with the Speed of Light! Lightning Connect reduces the time taken to integrate and incorporate data from legacy systems and automates business processes at a ridiculous speed. Touted as the fastest way to interface data from varied systems from within Salesforce, it is different from other integration mechanisms as it supports real-time integration rather than batch integration, and supports point-and-click. It is simpler than continuous data upload from third-party systems, and uses external objects for providing a snapshot of data that resides in the legacy systems. Lightning Components are a set of components and framework that enable you to build standalone apps and reusable components and customize the Salesforce 1 platform. Lightning Components are essentially client-side centric, reusable and self-contained UI elements, making them dynamic and more user-friendly, so now your development is more accelerated and performance-oriented. It comes with an out-of-the-box set of components to start building apps, supports HTML5, CSS3 and touch events and uses JSON to exchange data between the server and the client. 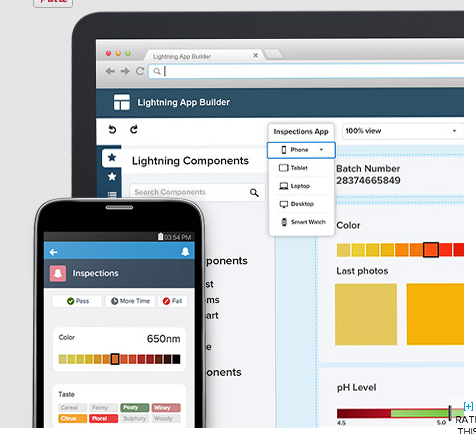 Additionally, you can build your own custom Lightning Components. Lightning App Builder lets you create powerful, engaging custom apps for all screens and devices, using drag-and-drop components comprising fields, reports and charts, and even AppExchange apps. Not only can you create apps that run seamlessly on desktop or mobile, you don’t really need to be a developer anymore to build cool apps. Using the Lightning App builder, you can now build custom apps for screens of all shapes and sizes using the off-the-shelf components like fields, tabs, reports etc. without having to write a single line of code! 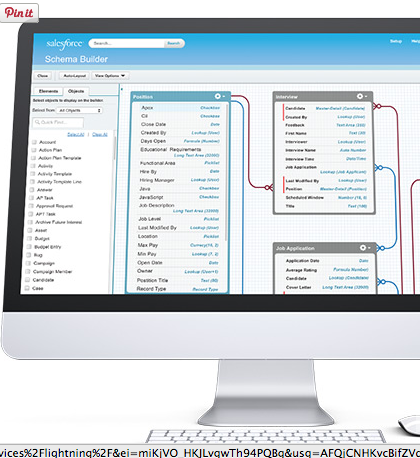 With Schema Builder, now you can build and visualize your data model real time. 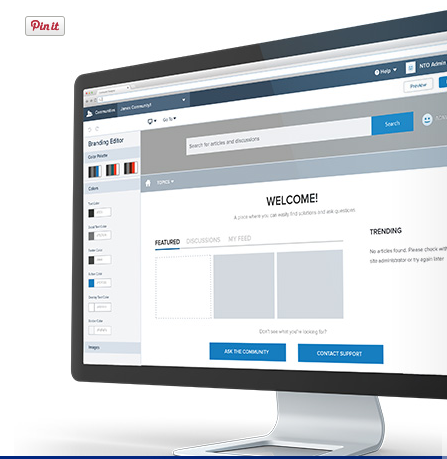 Whether you quickly need to add new custom objects, fields or relationships or see how your objects are interlinked with each other through master-detail and lookup relationships, Schema Builder is the way to go! If you are a developer, your days of spending long hours managing data model are over! You can now add and remove objects, refurbish your data model on-the-fly, without needing to write a single line of code. 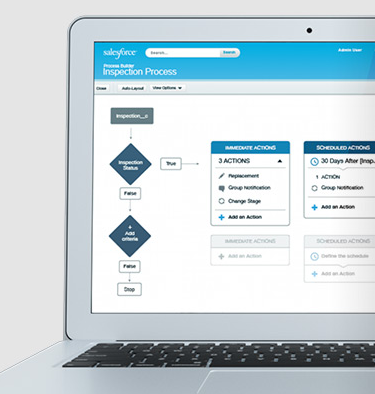 Lightning Process Builder is Salesforce’s workflow and process automation framework. Termed as workflow 2.0 by some, Lightning Process Builder is Salesforce’s framework to build complex workflows and achieve complete process automation, with the help of a few clicks! Using Lightning Process Builder, you can now create, update and submit records, all without involving any code! Whether it is sending daily reminder mails, follow-ups or creating a record, you can now visually automate the whole lifecycle of tracking, maintaining and optimizing your business processes. Now you can respond to business changes quicker than ever and tailor your processes at a lightning speed with just point-and-click. You no longer need to be dependent on a large development cycle to connect to your customers or partners; Lightning Community Builder enables you to create both public and private communities that help you connect to your partners and customers with equal ease through connected and integrated content, tools and templates. Building engaging communities was never this simple and quick! Lightning Community Builder comes with built-in analytics, allowing you to track and measure the activity of your customers and partners alike, thereby helping you make effective decisions. Lightning brings with itself the power of turning any idea into an app-based reality without a line of code! To put things into perspective, Lightning not only saves hours of development but also removes the reliance on developers to roll-out apps. That is customer empowerment never seen before! Firm to its philosophy that app development should not be more complex than running your business, whether it is process automation, or connecting to your customers via communities, Lightning enables you to do this yourself, without any lines of code. What all of this essentially means that in days to come, we are likely to see application problems being solved more through point-and-click rather than complex lines of code. This approach would invariably result in reusable components rather than standalone applications, a philosophy that is lately on an upward trend. Lightning could easily be the future of app development; ironically, involving little or no development. If you need more tips or you are thinking about hiring a managed salesfoece services provider, we can help. Give us a call!